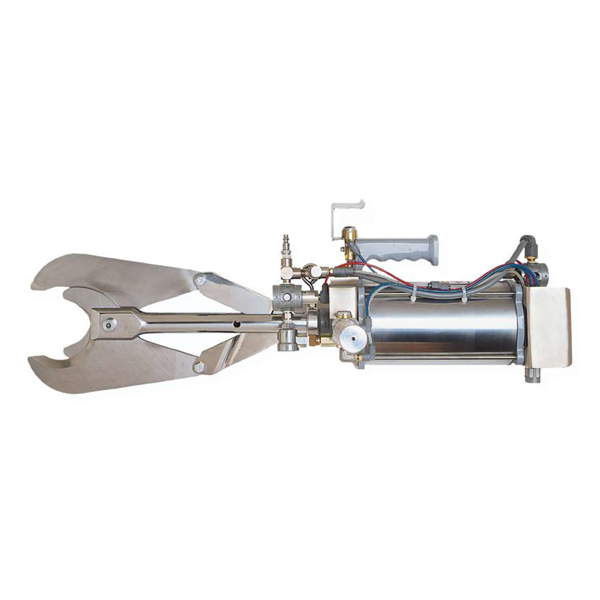 The Jarvis Model 500HC – pneumatically powered hock cutter for hind beef hocks and sow hocks. • The 500HC quickly and cleanly cuts rear beef hocks through the joint, and is an effective hock cutter for sows. • Inexpensive – no hydraulic power unit. • Double acting air cylinder for reduced maintenance – no springs. • Lightweight for easy handling.